Office Location: Zürich, Switzerland. Employees can also work full time from this office. We are currently looking for a Senior Drupal Backend Developer to join our Zurich team. 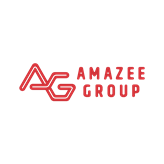 As part of the Amazee Labs team, you will be building the underpinning for our ambitious client projects using modern web technologies. In addition to working with established tools like Drupal 8, you will be able to work and experiment with bleeding edge technologies like React, Vue.js or GraphQL. Build, extend, and configure Drupal sites using core and contrib modules. Engineer and develop backend solutions to meet client requirements. Collaborate with other engineers and clients. Extensive Drupal knowledge and experience. Drupal 8 knowledge and experience. An active player in the Open Source community (high level of commitment and contribution). Knowledge of GraphQL (and Relay or Apollo). Experience with Webpack and other build tools. Our office in Zurich, or remote within the Central European time zone. Biennial soft and hardware budget. Attendance of DrupalCons and Camps. Annual education and fitness budgets.